Quick Take – Kareena leads her way to glory – in a film that lacks the foothold of a strong script. Multiple times National Award winner, Madhur Bhandarkar sure knows how to tell his stories, but this time around, he seemed to have missed the single thread that could bind it together. Through Heroine, he tries to explore the madness beneath the makeup, the struggle behind the stardom and the sheer uncertainty of a world that demands your all. Mahi Arora (Kareena Kapoor) is a hysteric and insecure actor, suffering from bi-polar personality disorder, which often takes a toll of her better self. Seeking solace in anti depressants and alcohol, finding committed, true love is her end all. When that doesn’t work out right, she tries to get happiness out of her work, and succeeds too, but only partly – for in the world of glitz, with its fickle mindedness and ferocity, everything is for sale, including your morality. And nothing seems to go right for our protagonist, for whom all seems to have taken a turn for the worse… or for better? The film starts interestingly, but unfortunately fails to maintain the tempo. A case of bad direction, some scenes appear downright fake, especially the awards’ ceremony. The script too, doesn’t hold itself together, for the number of clichés it rests on. Kareena Kapoor, dominating just about every frame, is absolutely stellar. 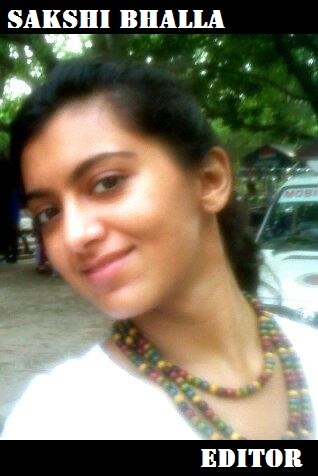 She brings Mahi Arora to life. You empathise with her – rejoicing in her happiness, lamenting in her pain. Arjun rampal, quiet and intense, does his character justice. Randeep Hooda adds the little humour that there is, to the film and doesn’t disappoint either. Shahana Goswami and Ranvir Shorey shine in their very small roles. Salim – Sulaiman’s music doesn’t let you down and adds sentiment to the scene. Halkat Jawani, although absolutely unnecessary, does live up to its purpose of generating a buzz and grabbing eyeballs. 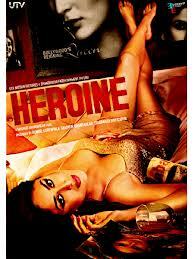 From the buzz that the trailer created, Heroine looked like Fashion’s more glamorous cousin. And it does stand true, in essence – with a diva in distress, a hapless and hopeless search for love, an unfortunate recourse to drugs, a gay designer et al. I don’t know what should surprise you more – it’s similarity with fashion and Bhandarkar’s other films or its much unexpected ending. Watch it to see Kareena get over the Jab We Met hangover and enter a new realm of acting. Or just wait till the DVD’s out. Nice review, but these kind of stories have been told many times in Bollywood !